For years, we have always gotten together and decorated our Christmas tree with friends and family. I love sharing one of my favorite Christmas activities with those that I love. Of course, with out busy schedules, we often end up decorating the tree during dinnertime which means hungry stomachs come along with the Christmas cheer. I like to have something that is easier to make but also filling for everyone to enjoy in between hanging ornaments. 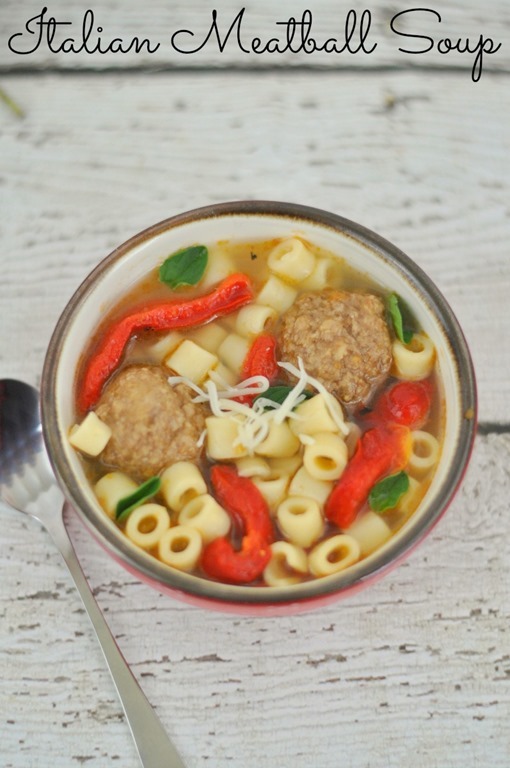 One of my favorites is Italian Meatball Soup. I love pasta. Who doesn’t right? It can be used in anything from a side dish or become a star in a main course. 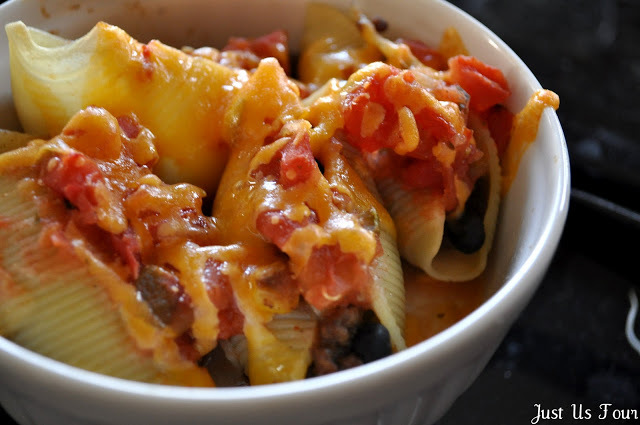 I tend to skip the more traditional pasta in red sauce dishes though and look for ones that get most of their flavor from simple ingredients. 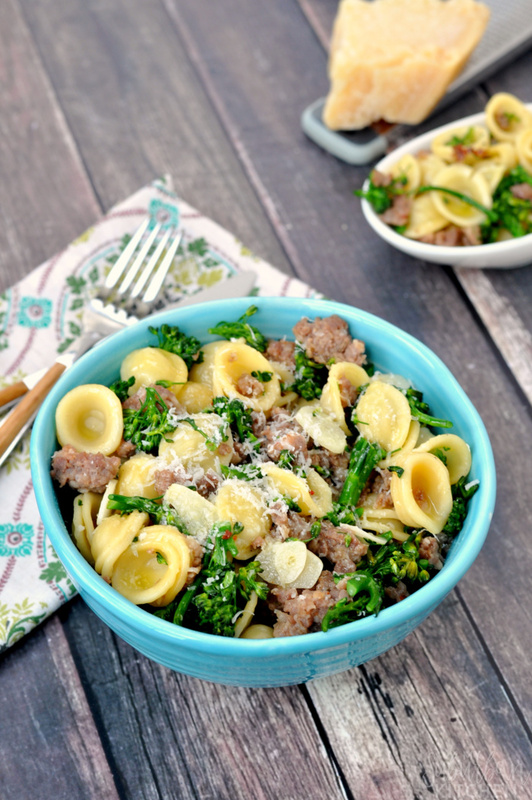 When I made orecchiette pasta with sausage and Parmesan, the freshness of the ingredients were where the dish got almost all of the flavor. Yummy! I love the ease of preparing meatloaf! I don’t always love the amount of baking time required to bake a full meatloaf though so I usually try to bake it in much smaller portions. 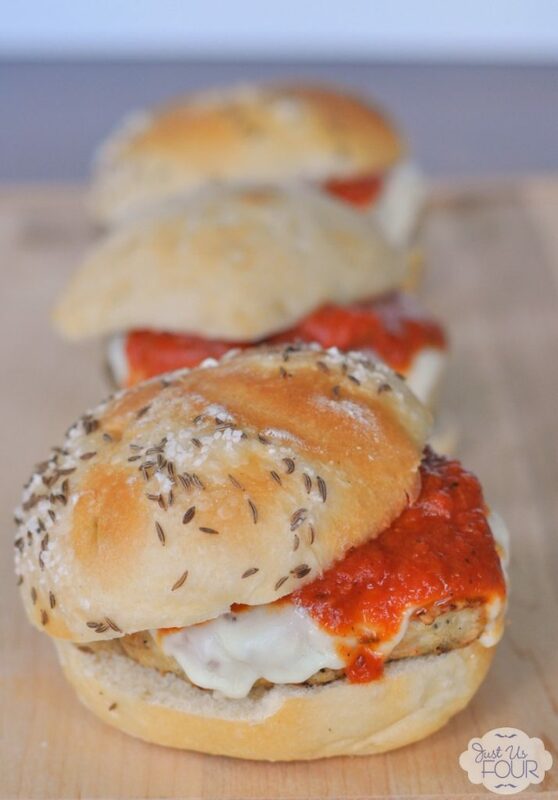 I’ve done them lots of times with my regular beef meatloaf recipe but today, I’m sharing my newest meatloaf fascination: chicken parmesan meatloaf! 1) Preheat oven to 350 degrees. Lightly grease a 12 cup muffin tin with cooking spray. 2) In a small skillet, pour 1 tsp olive oil and heat to medium. Add onion and garlic and lightly sauté for 1-2 minutes. Allow to cool for 5 minutes. 3) In a large bowl, mix ground chicken, egg, breadcrumbs, onion mixtures, dried herbs, salt, pepper and 1/2 cup grated parmesan together. Gently mix with hands. 4) Fill each muffin cup about 1/3 full with meat mixture. Place one cube of fresh mozzarella in each muffin cup. Then, evenly divide the remaining meat mixture on top of the mozzarella. 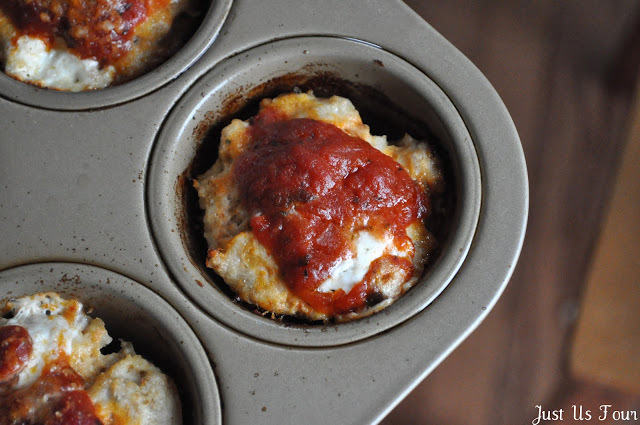 5) Cover the top of each “muffin” with marinara sauce and sprinkle with parmesan cheese. 6) Bake in preheated oven for 25-30 minutes or until fully cooked. What is your favorite type of meatloaf? What do you get when you combine an Italian staple like pasta with taco seasoning and other Mexican flavors? Mexitalian of course 🙂 In our house, you also get taco stuffed shells. Want to make it? I hope so!